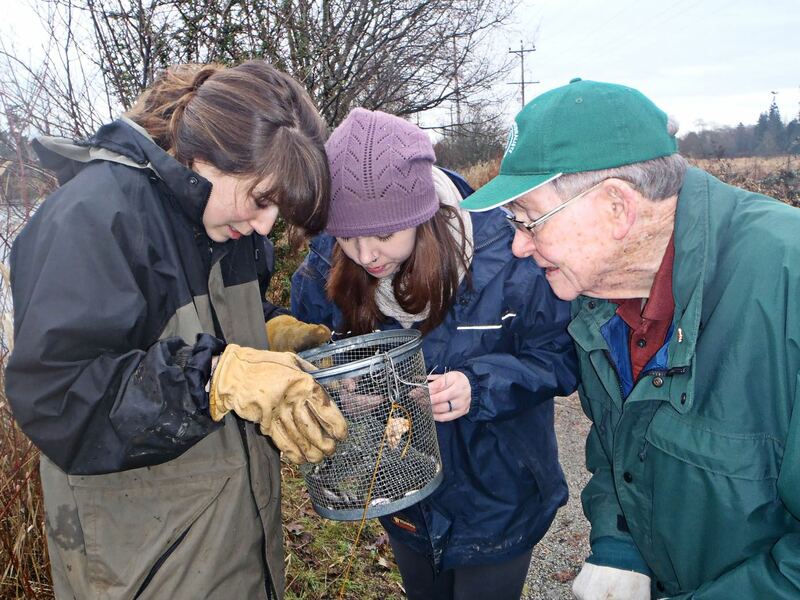 The Langley Environmental Parters Society (LEPS) headed out on Thursday, Dec. 18 to retrieve fish traps that were set in Brydon Lagoon on Wednesday. â€œWe only trapped one large carp in our big traps set in the middle of the lagoon, but along the edges of the lagoon we trapped over 100 small minnows and a few sunfish,â€ said Lisa Dreves, of LEPS. â€œWhen we were out on the lagoon, five fish-loving double crested cormorants were hunting for food. It is great to see the lagoon is still alive after such a devastating loss this summer. Out at the lagoon on Thursday were Steff Dâ€™Agorne and Taryn Hesketh of LEPS and Rhys Griffiths of the Langley Field Naturalists.